I was lucky that I stumbled through the hidden wall, expertly disguised as foliage — the bounty to take down the boss had mentioned this Lineage Type was a recluse, preferring to keep away from human footpaths. And while my cleric would soon be unable to heal us after a long stretch of bombardment by poisonous enemies, I wasn’t sure I could return to this point with so little of my wizard’s magic left. After balancing the pros and cons, I decided not to return back to the Strangers Guild without a Blood Gem. And that would mean killing the monster terrifying the forest. I duck and hide with my team, hoping to find and ambush the demon. Part of me was ready for the battle, the other wondered who would be the character to die from this encounter — permanently. 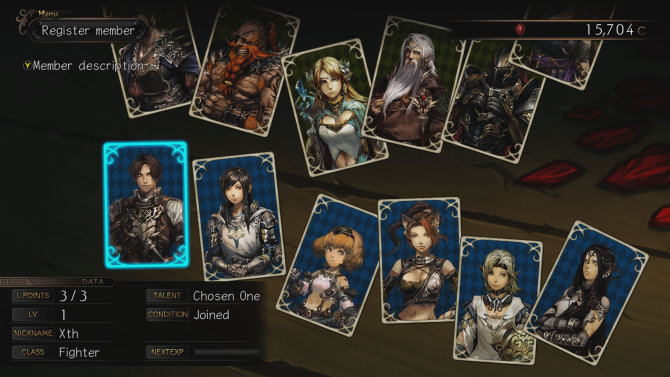 Throughout my time with Experience Inc.’s Stranger of Sword City, I found myself in these exact risk-reward scenarios. The first-person dungeon-crawling JRPG was at times blisteringly difficult, even on easy mode. 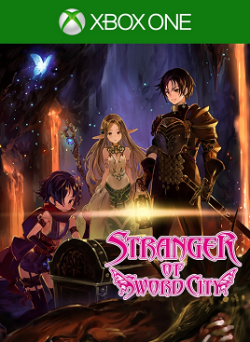 First released in 2014 as a Japanese Xbox 360/PC exclusive, Stranger of Sword City is currently undergoing a Western release across PC, PlayStation Vita and Xbox One bringing a brand new look. The story feels like equal parts Lost and Dungeons & Dragons — after surviving a plane crash, your avatar wakes up in a mysterious dimension overrun by monsters. Even more surprising, you aren’t alone — their are a fair number of others who have transported there (labeled “Strangers”) who are all super strong, thanks to the lower gravity. Joining up with these Strangers, your avatar is labeled as the Chosen One and placed in the middle of a faction dispute. Three kingdoms (ruled by Strangers) are in the continual search for Blood Gems, which will endow their leaders with god like powers. 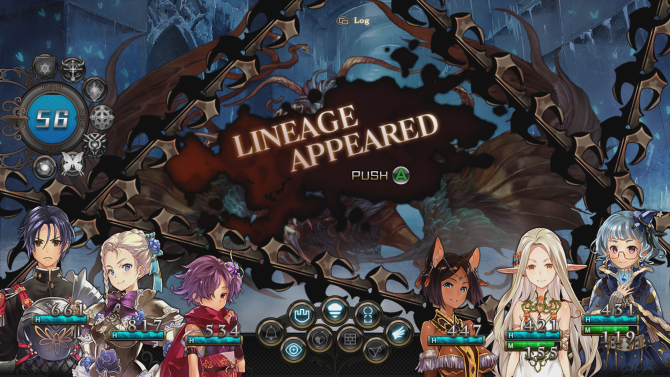 By slaying bosses — “Lineage Types” — your avatar is able support any of the three groups (or aid them all equally) in the hopes of returning back to his world. That premise offers an intriguing high-note early on, complimented well by the solid soundtrack and two art styles. 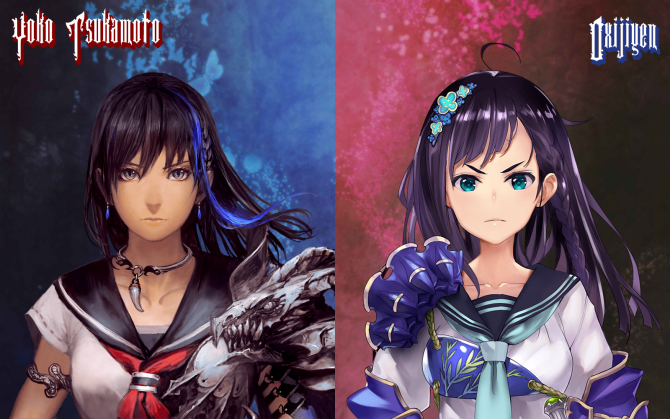 In fact, the two different art styles is one of the key components separating the game from the 2014 Japanese release. 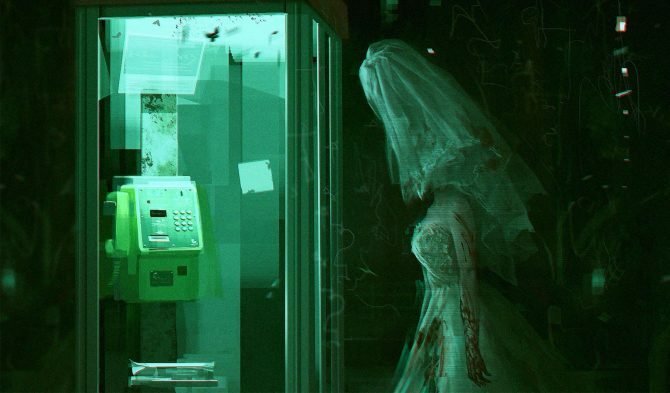 At any moment, players can access the options menu and switch between the two varying designs — the original by Yoko Tsukamoto or the redone artwork by Oxijiyen (pictured below) — and get two distinct feels. Tsukamoto-san’s art gives the game a gritty edge, often feeling like something pulled out of a World of Darkness handbook. Meanwhile, Oxijiyen’s anime-inspired art style pops with color, livening up the world. Through my gameplay, I would continuously alternate between the two, though I would highly recommend the original. 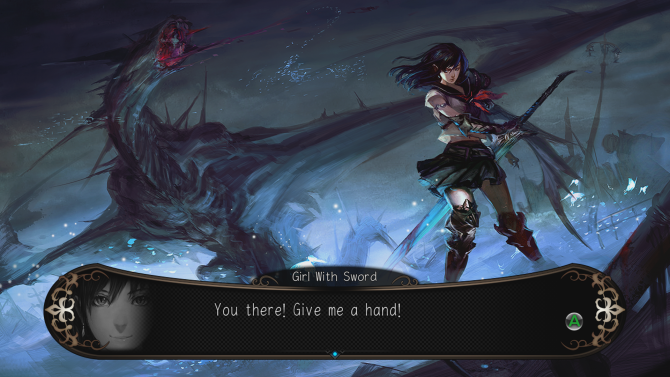 Stranger of Sword City is by no means an entry-level dungeon crawling RPG, with complex design choices to match. 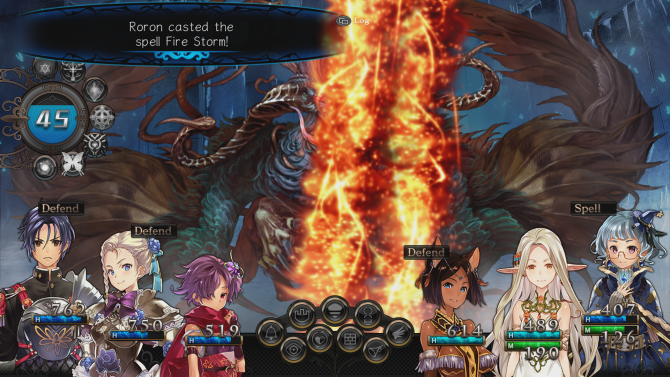 The game has a steeper than normal learning curve due to a complex menu structure, confusing names (“lineage type”), and unclear explanations to the pros and cons of mandatory elements to the game. 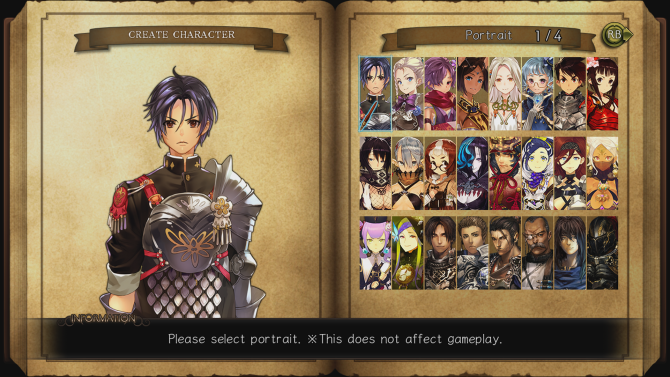 Specifically, this happened twice in the first hour: choosing age in character creation and properly preparing a party roster. 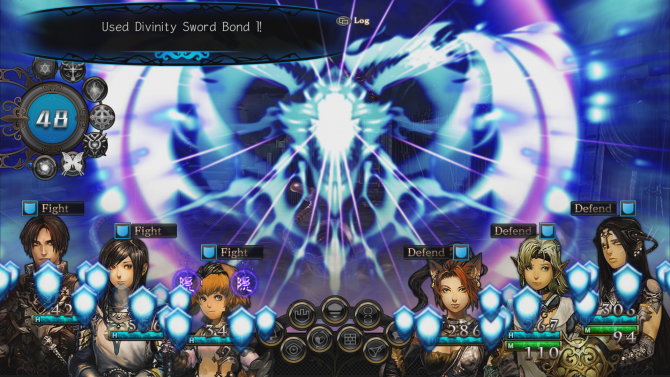 The game utilizes a variant of perma-death where party members can be revived one to three times from the brink until they permanently die. What determines how many lives your party members get is based on their age. The younger they are, the more chance of revival they get; the older they are, the more skill points they have at their disposal. Because your personal avatar isn’t subject to the perma-death mechanic, a player is best advised to up their age to the highest when creating their characters — being 99 years old literally has no downsides. Meanwhile, when creating party members, you are almost always better-served by going as young as possible because fallback lives are far more precious than the occasional skill point or two. Also, players will quickly learn the absolute benefit of creating a full roster of back-up party members from the get-go. If a party member dies, it will take 24 (in-game) hours or a stunning amount of cash to revive them. While you can make a replacement ally on the spot, it will start at the base level; in the beginning of the game this will lead to an extraordinarily under-leveled replacement, hours in the replacement will be nearly unusable. 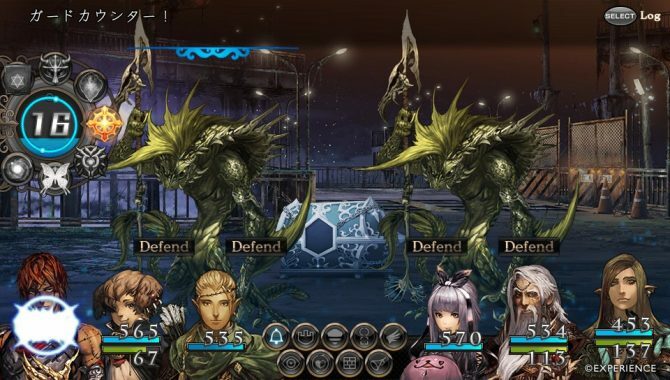 However, back-up party members will gain EXP as you and your main team do in the field, meaning if you create all your characters in the beginning, they will scale according to your progress. And while these are only two of some of the bizarre design choices — albeit, the two most worth mentioning for new players — everything managed to just make sense a few hours in. 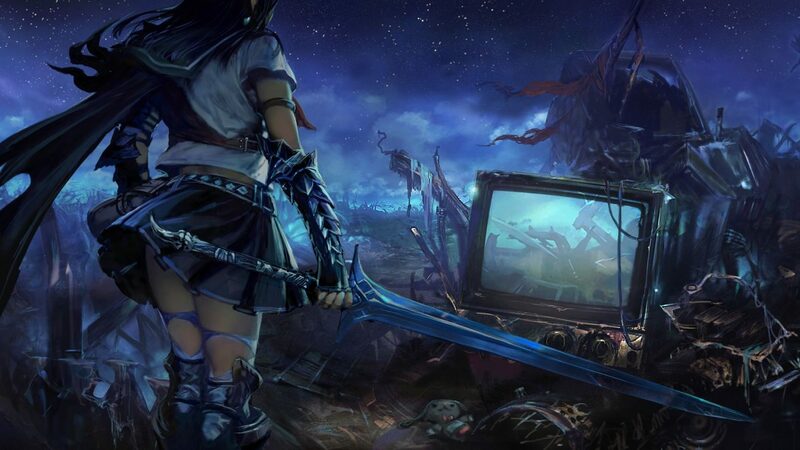 The learning curve only really exists up until a point until you begin appreciating some of the more interesting nuances that Stranger of Sword City offers to the genre. To name a few, the principal way to upgrade your gear is not through purchasing it or fetch quests or even random encounters, but instead an ambush mechanic that offers an intriguing risk-reward system. While mapping out labyrinths, there will be the occasional area wehere your party is able to hide and wait for loot-carrying monsters. Because you are the one hiding, you will be able to scope out the monsters and decide whether the gear type (rings, katana, underwear, etc.) is worth the risk. From there, you can attack the group, pass and wait for the next group (which opens yourself up to an ambush), or flee the activity altogether. However, you can’t do this unlimitedly in the same area — completing a successful (or unsuccessful) hide raises the Divinity Points (another interesting mechanic) required to hide in that area until you return back to your main base. Additionally, each item found or won in the labyrinths needs to undergo an Identify decryption process. As an example, if I defeat a wave of monsters I will be awarded a “ring,” “monster part,” and “strange item” without any other attributes. From there, players must go into their main menu and “Identify” the items. Identifying is a gamble in itself — depending on your luck, you will either successfully identify what the item is, or it will become cursed. Identified items can be used and equipped immediately, while cursed items can only be cleansed and utilized after leaving the dungeon. 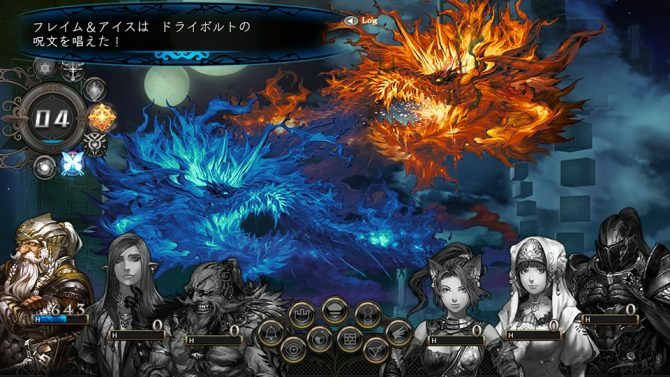 So while the game does an admittedly poor job introducing these concepts to players new to the genre, once understood they become the main draws of Stranger of Sword City. Paired with the insane difficulty curve (even when playing on easy), the game maintains a rigid-yet-rewarding barrier to entry. After spending between 25-30 hours (minus the times I died and countless restarts), I would be remiss without telling multi-console owners the game will feel better on PlayStation Vita. While I thoroughly enjoyed my time playing this game on Xbox One, the core gameplay loop is (rewardingly) grindy and repetitive — something I would have personally enjoyed if able to play in transit or while having something play in the background. And while the art styles are stunning, you won’t be missing out on anything by moving to the smaller screen. Regardless, if any of this sounds intriguing to you there is an eight hour demo on Xbox One where you can try out the game for yourselves (with save data porting over if you choose to buy the full version). This is a game worth exploring, even for those getting into the genre for the first time. 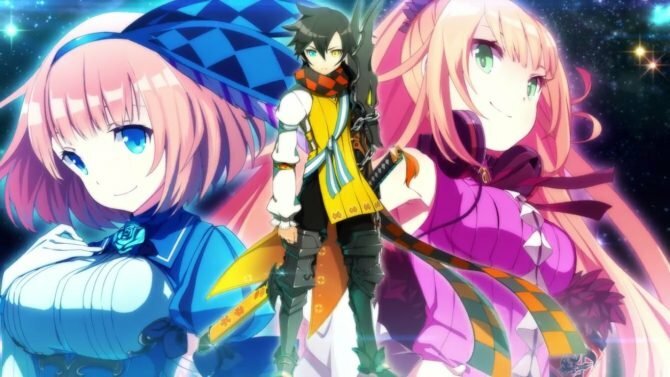 Experience has delivered a resoundingly solid dungeon-crawler that will give any seasoned a JRPG fan a run for their money. Beyond a difficult barrier to entry, players will find rewarding innovation, stunning art, and core mechanics that keep drawing you back. And while this game may not be for everyone, gamers able to notice genre-bending nuance will be able to find something to enjoy.